Recently my six graders started on lesson 5 ' What does she look like?' (or he, can't recall). Anyway, so it's very boring because last year we did a very, VERY similar lesson called "She has long straight hair." It was in our old textbook for grade 5... darn, should have seen that one! But anyway, it's a good chance to review and moreover even better - I got to teach them some more interesting words to do with facial hair, etc. But first, a chant to wake them up! Now this isn't the same chant that you can find in the textbooks (yawn, some of them can drag on) NO, this is a tad bit more difficult and a lot more fun. It worked really well today in class. Now, the chant part. Super easy and basically stolen from the old school game 'concentration'. So I wrote on the board beforehand: Table, clap, snap, snap, clap...so hit the table (or desk), clap, snap/click your fingers on the right and then the left, then clap once more. And repeat! It's a tad hard to explain in words but try the beat and fitting the lyrics to the beat. The second lines are word for beat while the first lines (in bold) are a bit slower. The students found it easy to pick up after I did a quick demo. Here's a link to listen to me (sorry) chanting the first verse. Now we did it a few times and they got into it and then I asked if they could do it even faster. It worked quite well, and we also did it as a closing activity and I even offered a candy to anyone who could make a new verse for the next class...will see if anyone does the work. It's a good way to fit in those words like 'a' and 'has' as they can miss them often when making sentences. I showed this slide and told them to have their hands on their head and try to remember as many words as possible, forgetting the Level 1 and 2. After about a minute I turned the screen off and told them to write as much as they could remember. If they didn't know the words I didn't worry about it, as I explained it later. I told them level one were the easy words and level two were the harder ones. For some reason it works better to show this because they psychologically want to remember the level two because they've been told it's more difficult - sort of like an internal challenge. (heard from teacher who told me this game). So whoever had remembered the most words got a candy. Then I showed the screen again and we reviewed the words as well as learnt the new words, my students didn't know 'beard, bald and medium" - next to medium I wrote 'height' and explained it's in between short and tall . 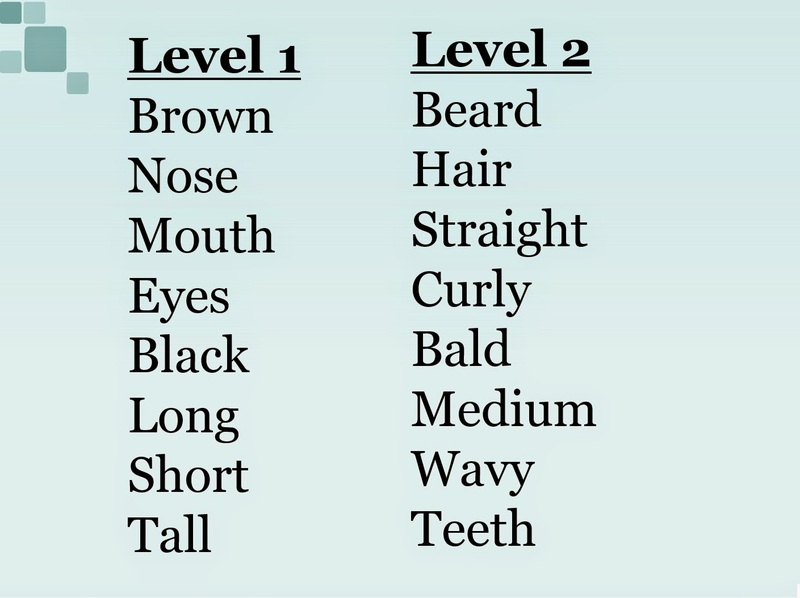 I also wrote 'length' next to medium to explain that you could use it to describe hair length also. Next, the rest of the PowerPoint. This class was all about reviewing so it became a relaxing slide and speak class where I'd show a slide and I'd choose random students to say at least one sentence. Due to the class studying this topic in grade 5 , many students wanted to speak - it was lovely. The kids got creative with Mr.Bean and I made sure to push questions on them like "Is he tall? short?" etc... they were very good with Spongebob as well and when I asked, "Does he have hair?" 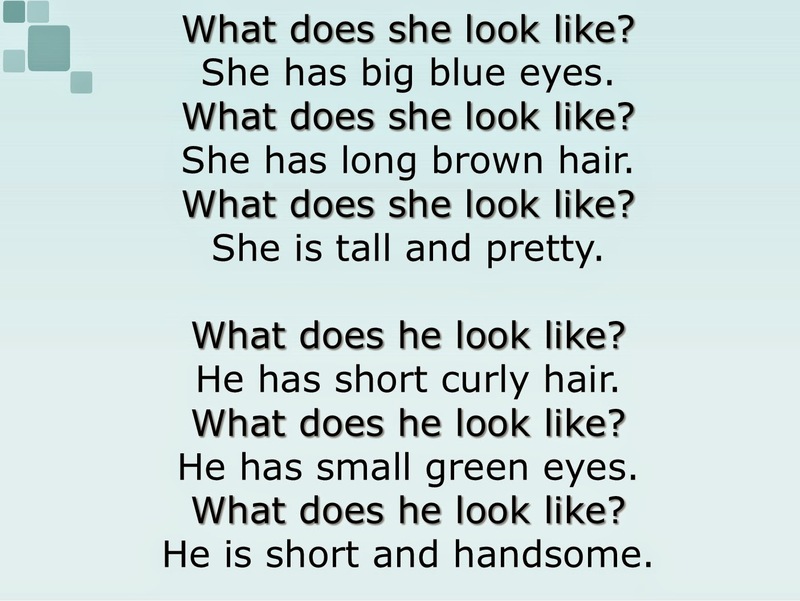 , "What do we say if he has no hair?" they were able to remember 'bald'. "He is bald." 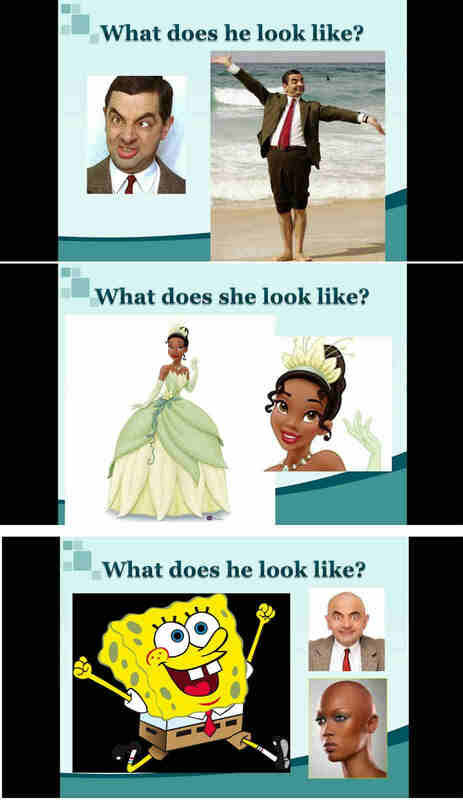 - after I clicked the screen and the bald people (Mr. Bean & Tyra Banks) popped up on screen. Warning: Some of the students were very mean to say Princess Tiana from the film "princess and the frog" , was 'ugly'. Which is completely ridiculous... but as many of us teachers in Korea know, there is sadly an issue with darker skin and kids are blind to their hurtful words at times...I always encourage accepting beauty of all kinds and I have told off kids who made any issue of an African/Indian or any other darker skin character that appears in their textbook...it's an ongoing thing that is hurtful and needs to be dealt with in their homes as well... but this was a good opportunity to show a beautiful cartoon character who is African American. Lilo from 'Lilo and Stitch' would also be a good character - she's Hawaiian (I'm Polynesian myself so I like to use her to show different beauty as well.) I also enforce that it's not nice, it's rude to make such comments...as we can't always do anything to change their opinion. "He has a mustache." "He has a brown mustache." "He has a big, brown mustache." 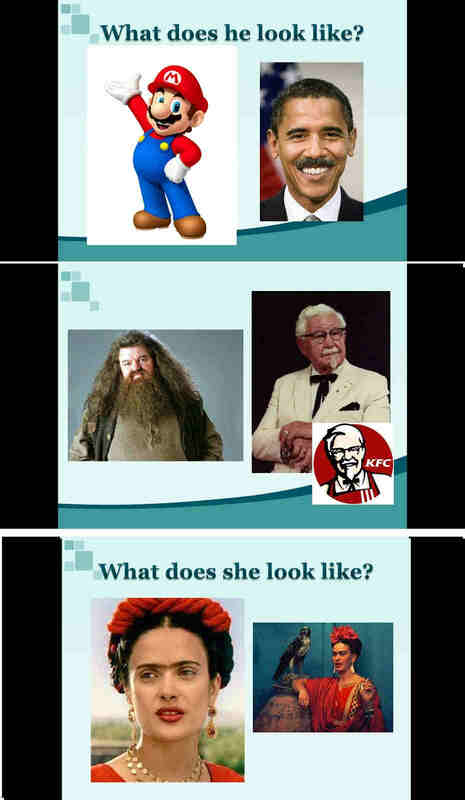 Next, we looked at Hagrid and Colonel Sanders from KFC to learn beard and goatee. I asked "Does anyone know what a goat is?" and they quickly made some goat baaaa bbaaa sounds and then clicked with the name goatee in English. 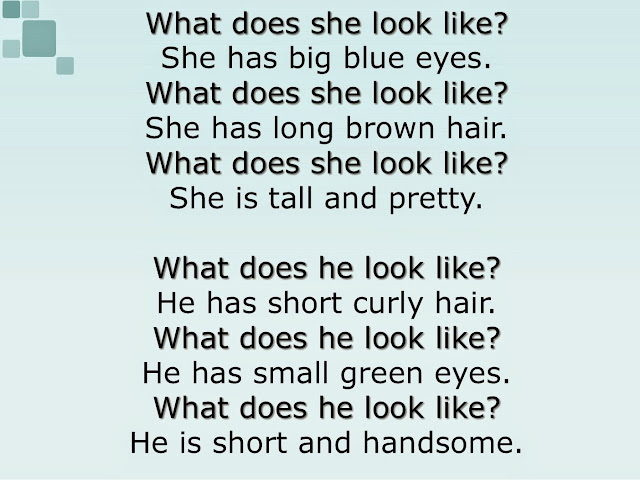 "He has a long beard." "He has a white goatee." And after that I presented Frida Khalo (or Salma Hayek) who I said was beautiful, because I do believe she is. I also reinforced that being mean is rude. As they yelled "ugly". I told them if they think she's ugly they should not be saying it out loud... ugh...but anyway, I taught them the word eyebrows and then "unibrow" which I also informed them, that like "bald" can be rude, so you don't need to say it to people often. "She has a unibrow" "She has nice eyebrows"
You don't have to teach this in your class, obviously, but I think this lesson was not only great for practicing describing sentences but also teaching a bit about manners and what's rude and what's not. We even talked about how some find it rude to say 'short'. My students were quickly becoming more mature by the end of the slideshow. Anyway, happy teaching, feel free to download the PowerPoint!